How well do you know Megan Mullally? She is an American actress widely known for playing Karen Walker on the NBC series, Will & Grace which earned her several awards and nominations including winning the Primetime Emmy Award twice and four Golden Globe Award nominations. She is also known as the wife of the talented actor and comedian, Nick Offerman. Additionally, her sensational portrayal of Tammy Swanson on the NBC sitcom, Parks and Recreation was widely acclaimed. Mullally has recorded some notable credits on the big screen, specifically in the comedy genre. Her film credits include Stealing Harvard, Teacher’s Pet, Hotel Transylvania 2, the Fame remake among several others. Nick Offerman’s wife has also done some work as a skilful musician who is a member of two bands named ‘Supreme Music Program (SMP)’ and ‘Nancy and Beth’. Read on as we explore more on the biography, kids and net worth of Megan Mullally. The multi-award-winning actress was born in Los Angeles, California, the United States on 12th November 1958 to Carter Mullally Jr, an actor who under contract with Paramount Pictures in the 1950s, and Martha Palmer, who was a model. She is of mixed ethnicity and an American national. 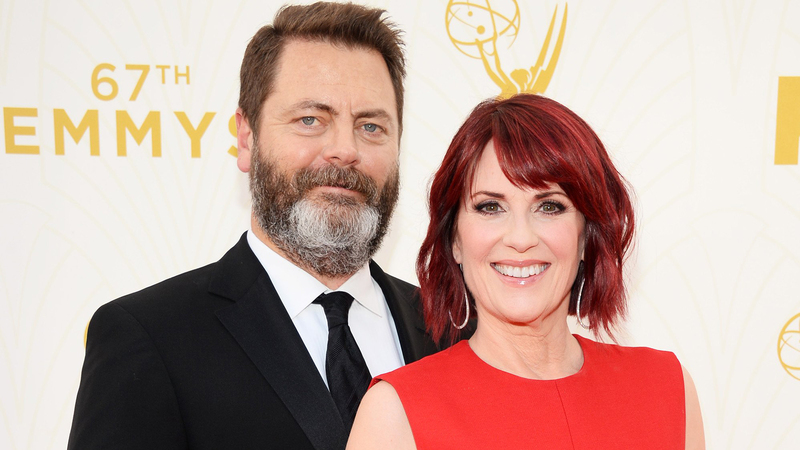 Megan Mullally grew up in Oklahoma City, where she had much of her early education. The skilful musician had an interest in dancing such that she learned ballet when she was six years old and went on to participate in Oklahoma City Ballet while still in high school. She followed it up by enlisting in the School of American Ballet situated in New York City. Concerning her education, Mullally completed her senior year of high school at Casady High School, Oklahoma. She then furthered her education by enrolling into Northwestern University but later absconded from the college to pursue her acting career. 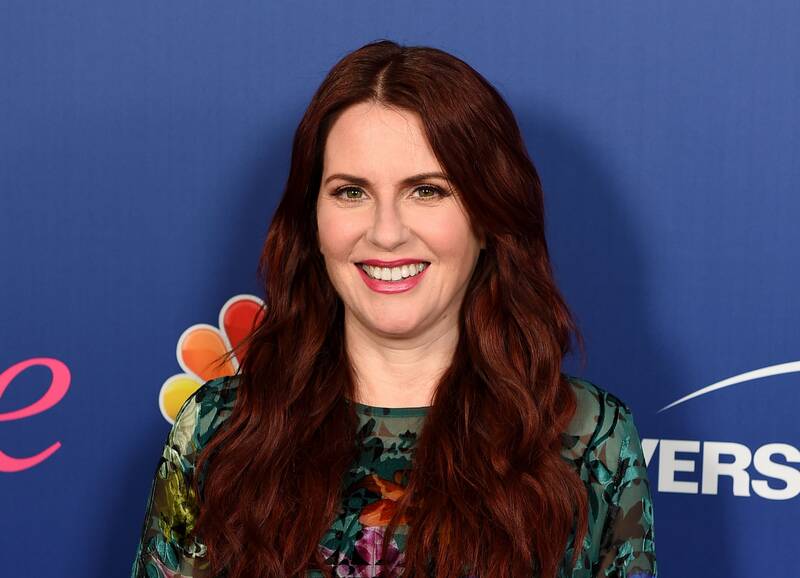 A few years later, Megan Mullally showed her strong determination for success when she returned to graduate from Northwestern University, School of Communication. Megan Mullally began her career as an actress with her film debut Risky Business in 1983. She then appeared in the movie First Steps and television series, American Playhouse before relocating to Los Angeles to further her acting career. Her first job in Los Angeles was in the McDonald’s adverts where she featured alongside John Goodman before her first major appearance in the television series, The Ellen Burstyn Show in 1986. The confident actress followed it up by starring in several TV series like Wings and China Beach before landing recurring roles in Rachel Gunn, My Life and Times, Fish Police among others in 1990. Furthermore, she has been among the cast of many sitcoms such as Mad About You and Caroline in the City. Mullally finally got her breakout role as Karen Walker in the NBC comedy series, Will & Grace alongside Sean Hayes, Debra Messing and Eric McCormack which fetched her multiple accolades. In recent times, she has come to be known as a result of her incredible display on the hit comedy series, Parks and Recreation as well as Children’s Hospital. In addition, the gorgeous actress has featured frequently on Broadway and most of her works include Revival of Greece and How to Succeed in Business Without Really Trying. Just like her TV series credits, Mullally has also recorded some notable works on the big screen, particularly in the comedy genre. Her film credits include Teacher’s Pet, Stealing Harvard, Hotel Transylvania 2, among others. Beyond her work as an actress, Megan Mullally is a fellow of Supreme Music Program band which have three albums under their belt till date. More so, she is a co-founder of the band Nancy and Beth along with Stephanie Hunt. Nick Offerman’s wife has made incredible career achievements which includes bagging several awards and nominations such as two Primetime Emmy Award, TV Guide Award for Editor’s Choice, OFTA Television Award for Best Supporting Actress in a Comedy Series, and also becoming the first actress to win the Screen Actors Guide Award for Outstanding Performance by a female actor in a Comedy Series for three consecutive years respectively, for her sensational performance in Will & Grace. Having spent more than four decades in her acting career, the multiple award-winning actress has been able to garner an attractive net worth. Presently, her total net worth is estimated to be around $15 million, thanks to her successful acting career over the years. Along with a flourishing career, Mullally has a blissful personal life too. She is married to a renowned actor, Nick Offerman, whom she dated for 18 months before exchanging marital vows on 20th September 2003. At the moment, they are yet to welcome any child.